Much of the DeWalt Oscillating Tool seems to be modeled after the already available Porter-Cable PCE605K, including the tool-free quick-release blade changing mechanism, and the adjustable depth stop. But the part of the tool that is truly unique, is the Dual-Grip variable-speed trigger. 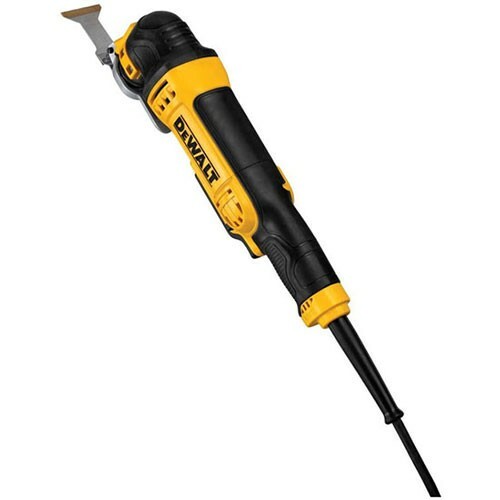 As far as I know, Ridgid is the only other brand that uses a trigger on an oscillating tool rather than a switch; but DeWalt goes a step further and provides two grip positions on the DWE315K. The tool also features an LED that sure be helpful on poor lit jobsites. With their new oscillating tool, DeWalt is also coming out with their own line of Universal Fitment oscillating tool accessories that are compatible with their tool-free blade change system and other brands oscillating tools. 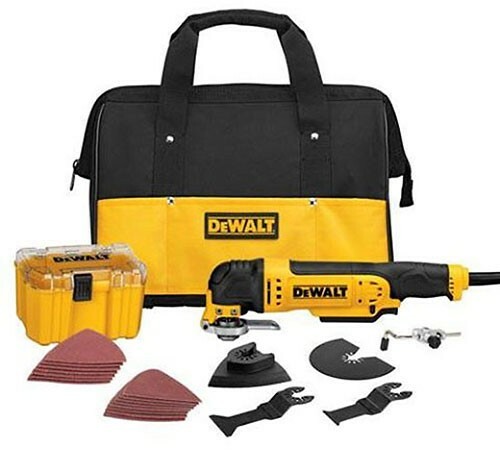 The DWE315K kit comes with 30-accessories, but DeWalt also has a titanium coated blade and a grout removal blade that will be sold separately. And I am sure more blade will come out in the future. You can also use blades from other manufacturers using the included universal adapter.